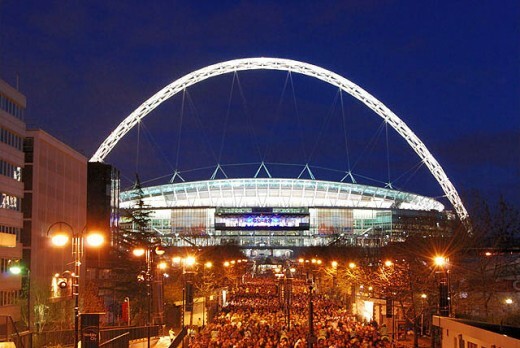 Wembley Stadium is a superb modern sporting arena and is the home of the England Football team. Pop and rock concerts are also held here and it is slowly but surely building a reputation for great acoustics and even better atmosphere. Built on the site of the original 1923 Wembley stadium, whose iconic white twin domed towers graced many international sporting events, this latest incarnation has a magnificent steel arch as its trademark. Approaching this north London cathedral of sport is bound to get the juices flowing! I can personally vouch for the atmosphere created inside this beautifully shaped stadium when it's full with 90,00 people and want to convey a little of that to you in this article. If you ever get the chance to visit go with arms and eyes and heart wide open. You won't be disappointed. There are many ways to get to Wembley Stadium. 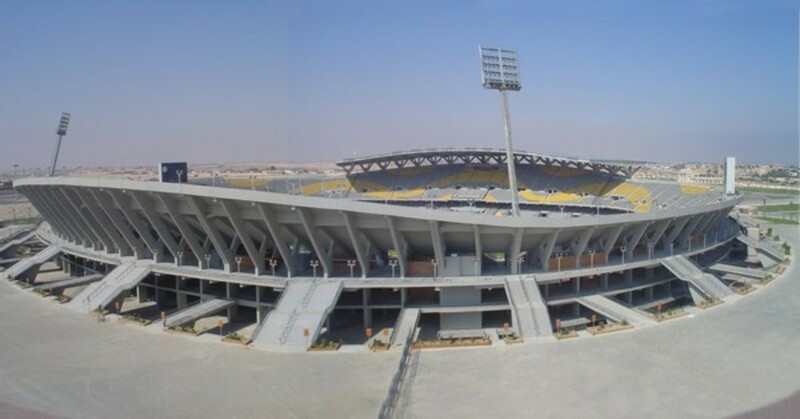 This article will point out the easiest and best means of transport and give you insights into this stadium's unique appeal. There are many ways to get to the stadium. You can use bus, rail or tube (London underground system). It is possible to go by car but be prepared to pay for parking! Current prices are between £25 - 30 a day for the stadium car park. If there are 4 people in the car that works out as a bargain for a major city but leaving the stadium after a big event can take up to 90 minutes! If you really want to use a car the most economical way is to park up in either Rayners Lane, Ickenham, Ruislip, Hillingdon or Uxbridge car parks, or in one of these local streets for free. Then you'll need to pay for the Tube to Wembley Park. This can work out cheaper but again be prepared for a journey of roughly one hour back from the stadium to your car. And make sure you know where your car is parked! 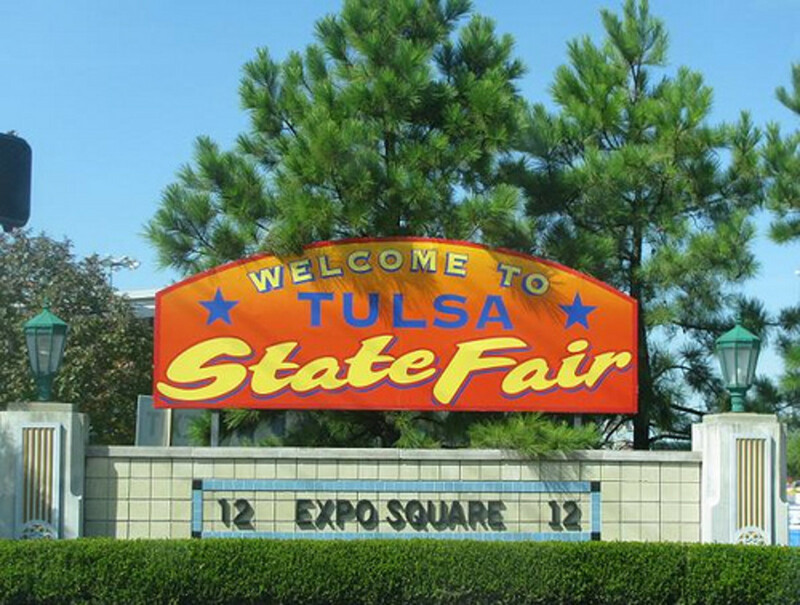 Make a note of the street name and other landmarks. Some people like to make a weekend of it and park up in Watford, north of London. It has a lively night scene so may attract a younger crowd. You'll have to travel by train into Wembley and back again of course but it does lessen the stress of driving through north London suburbia. By Tube - the name for London's underground rail system. Wembley Park is served by both the Metropolitan and Bakerloo lines. If you enter London at London Kings Cross station, or Liverpool Street, take the Metropolitan line. See Tube Map for further details. 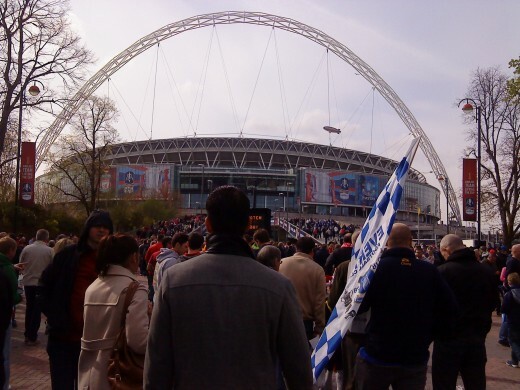 There are many different ways to get to Wembley stadium from the airports close to London. Heathrow and Gatwick are the two main airports for London. Both have good rail and tube connections. Train, bus and coach services are available. London has one of the world's most extensive bus route systems so you shouldn't have to look far or wait long for a bus to get you where you need to be! All of the major railway stations are served by bus. London's famous black taxi cabs will get you to Wembley but be prepared to pay a good few pounds especially if you're travelling any distance. Make sure you find an official cab, with a meter on display so you know exactly how much you need to pay. 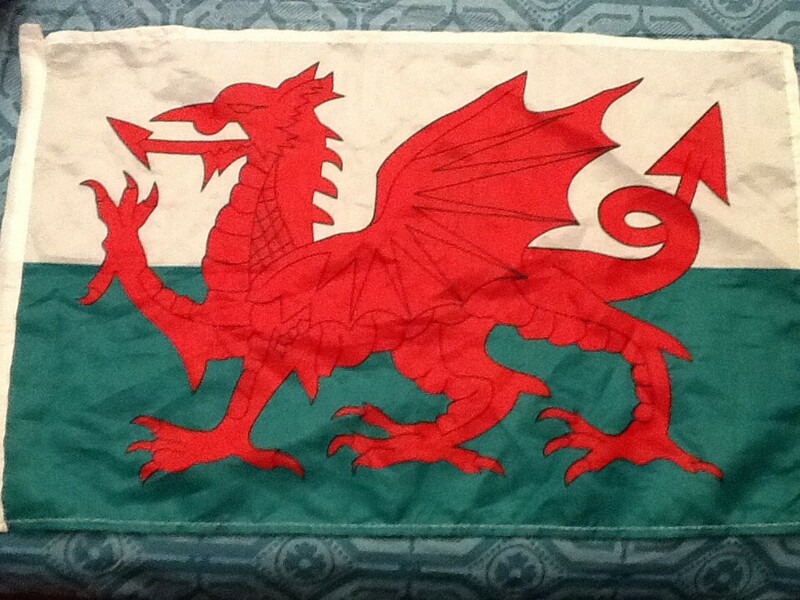 If you get a decent, friendly driver - and most of them are very friendly - listen out for the London accent!! If you're really lucky you may get a genuine Cockney driving you to Wembley Stadium. What is a Cockney? It's someone who is born within the sound of Bow Church Bells in the east end of London. They even have their own language! Give yourself at least 90 minutes pre-event warm up time. 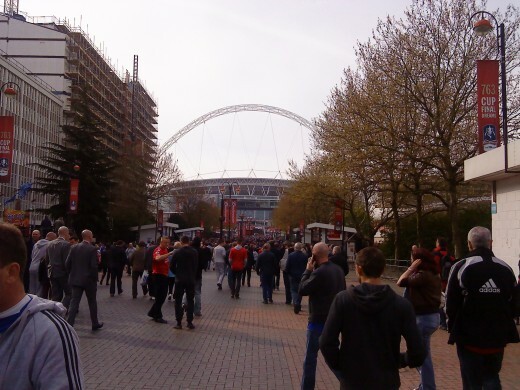 There's plenty to do once you're at Wembley and it's always better to arrive early. Check out the local shops, stalls and entertainment. Food is expensive close to the stadium. Burger bars and snackeries will charge higher prices the closer you get! There are cheaper places to eat and drink close to the tube station at Wembley Park. The crowds. Be aware that, an hour or so before the start of your event, the crowds will be thick and in high spirits. If you have young ones or old ones with you get to the stadium earlier! Seating at Wembley Stadium is generally excellent. You get a decent amount of space in which to sit down and there's ample leg room for the average punter. They pack you in yes, but this only adds to the atmosphere and overall tends to encourage togetherness and also increases volume! The designers for once have been generous and creative, and although you know the fundamentals are only concrete, steel and plastic the place oozes quality. When I attended - an F.A. 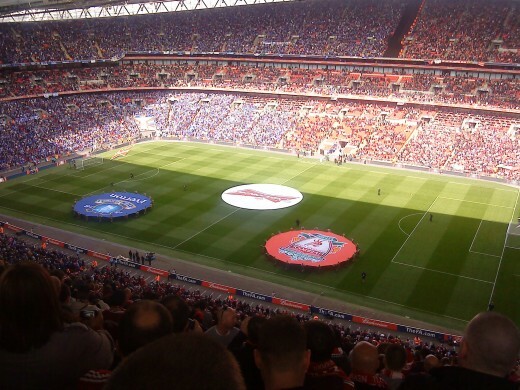 Cup Final and a Carling Cup final, the atmosphere generated at both matches was intense and spine tingling, despite the size of the stadium. The curvy oval shape and the rising stands help keep the sound echoing around the stadium. I was truly surprised and delighted. Of course it always helps when your team wins!! Wembley Stadium has been host for numerous rock concerts since it opened in 2007. Metallica, Madonna, Oasis, AC/DC, The Foo Fighters and U2 are just a few of the big names to get the red seats rocking. Bruce Springsteen performed here in June 2013! The original stadium was built in 1923 and opened just in time for the 1923 FA Cup final which has become part of footballing folklore. 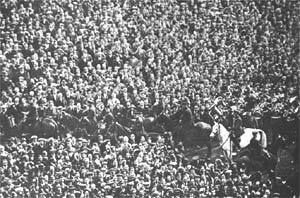 Over 100,000 people came to the match but many spilled onto the pitch and had to be forcibly moved back to the white line markings by police and officials. One policeman and his horse Billie became famous for nearly single-handedly maintaining peace and order amongst very excitable supporters! 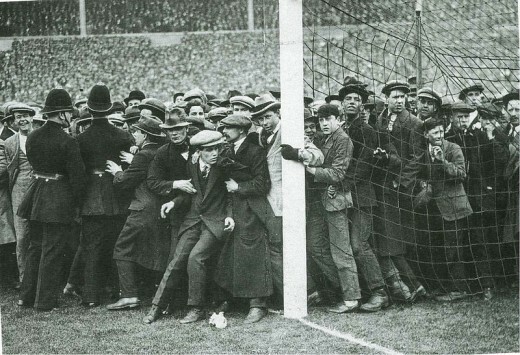 Back then all of the fans were male and 99% of them wore woollen flat caps - see photograph. Help stop plagiarism. Stolen content - please contact the author if you suspect this original article has been copied.